Weigh In: Open Sourced vs. Proprietary Software? 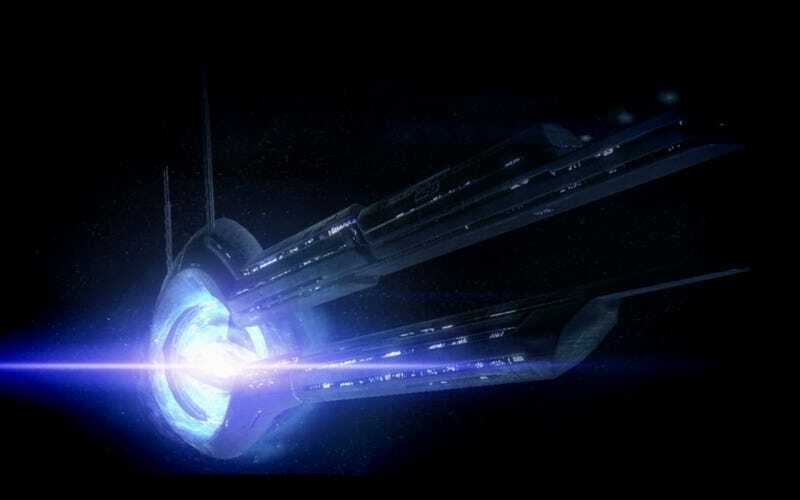 I was playing Mass Effect recently and realized, even if humanity did stumble upon an alien technology such as the Charon Relay, we'd fight amongst ourselves to keep it secret and keep other countries' governments from capitalizing on it. This led to me thinking, "well, as much as I would've liked for this sort of technology to be open, in terms of software I can't exactly think of a good completely open-sourced software that outdoes its proprietary competitor". That said, I'd like to have a serious discussion as to whether open-sourced software ultimately leads to a better outcome, or proprietary software. I'll throw out a couple examples... Microsoft Office is by far the most well-known, feature-rich, the best I've used, and most-used word processing software out there. I wish it weren't so, because I like open-sourced software better than the greedy piggish proprietary guys getting all the money... but from my experience, every other word processing software out there has left a lot to be desired compared to it. One counter-example I thought about is Android. I'm not entirely sure about this one, though, because of all of the propriety software that's bundled in ROMS on all of our phones by default. So it seems like in this example, many big companies take open-sourced software and add their own proprietary chunks to spit out a hybrid Frankenstein, which happens to be more successful than the pure open-sourced software. Next example: Linux; great, free, powerful, open-sourced OS. However, in my experience if you try to do something as simple as watching a YouTube video, you're forced to install a proprietary codec or try wacky workarounds that work only until you reboot, etc. Same thing happened with trying to find a driver for my Wi-Fi card. I ended up doing the easy route and just installing some proprietary drivers that were luckily provided by Broadcom, but it made me realize how much a PITA it would have been if I had gone with a completely open-sourced OS. Please, somebody, give me some hope that open-sourced software is in fact the better of the two. Maybe I'm looking at it wrong, as most of my descriptions have been on the side of the user in contrast to the side of the developer. Any thoughts would be appreciated. Also, please excuse my ignorance in not being the most knowledgeable about these things.